Jim is a native of Buffalo, New York, who has served the recovery community in a professional capacity for over 15 years. 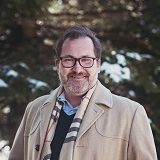 From establishing the first LGBT sober house in Minneapolis for St Paul Sober Living to filling the role of COO at Addiction Intervention Resources, one of the country’s premier intervention and family consulting groups, and most recently as a senior leader at the Hazelden Betty Ford Foundation, Jim has sought to open the path to treatment. Jim’s passion for expanding access to treatment for all people seeking recovery will help guide the next steps of Harmony’s growth. A recent transplant to Colorado, Jim has set down roots in Allenspark and is enjoying watching moose, elk, bobcat, and several unidentified creatures trek by the house. Jim and his husband Peter are excited to be new members of the community. Dr. Peters is a 2004 alum of Harmony Foundation. In 2008, she completed her PhD in Clinical Psychology from University of Colorado Boulder. 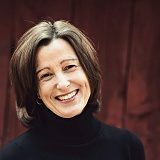 She began her addiction treatment career at Hazelden-Betty Ford Foundation as a staff psychologist in 2006 and then as a professor in their Graduate School of Addiction Studies. She joined the Harmony team in 2014 as Chief Clinical Officer. Gina is a graduate from Florida State University with a degree in Health Education and Masters from University of West Florida in Health Education and Management. She has over two decades of experience working in the field of prevention, intervention, addiction treatment and recovery. Her background in health communications and health promotions has evolved in both the public and private sectors working in local, regional and national organizations, hospitals, and institutions of higher learning in Florida, New York, Ohio and Virginia. She has worked in marketing and business development for residential treatment programs in Virginia and Florida. A recent transplant to Colorado, Gina was Vice President of Marketing for Lakeview Health providing leadership and oversight to brand management, digital marketing communications, outreach support and alumni services. She is an industry leader speaking about Ethics, Recovery Oriented Systems of Care and Marketing and Business Development best practices. 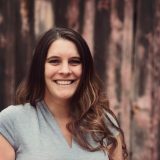 She is a member of the Treatment Professionals Alumni Services (TPAS) Board and an active member of the Addiction Treatment Marketing Organization (ATMO). Gina philosophically believes that change happens when others stretch across the divide and work together. Dr. Reveley attended the University of Colorado, Boulder (BA Psychology, 1977) and Dartmouth Medical School (M.D., 1989). After completing residency training at the University of Rochester he worked in the field of anesthesiology until 2012. He completed the Fellowship in Addiction Medicine at the Rushford Center in Middletown, CT, and began as Medical Director at Harmony in 2016. Dr. Reveley has particular interests in refining and focusing medication assisted treatment for those with addiction as well as the evolving, non-traditional, integrated role of medical providers in the residential treatment team. 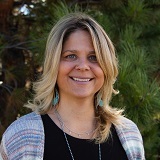 Alyssa is a graduate of Colorado State University with an undergraduate and graduate degree in Social Work. She has been a member of the Harmony Foundation team since November of 2009, in varying roles including: Counseling Tech, Client Financial Assistant, Admissions Specialist, Utilization Review Case Manager, Director of Admissions, and now Director of Case Management. Every client brings their own unique situation and set of challenges. It’s amazing to see the growth and physical transformation that can occur in such a short period of time. 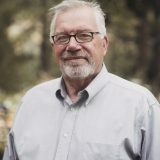 Ross is a graduate of Pipestone Area Vo-Tech with a degree in Construction Management and holds an undergraduate degree from University of Phoenix in Business. Ross spent twenty-eight years working for Schwann Food Company as District General Manager. He is currently Director of Facilities for Harmony Foundation. He provides operational oversight of Housekeeping, Dietary, and Maintenance. 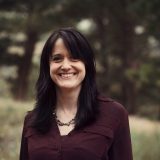 Laurie received a Master’s in Management from Regis University and completed her undergraduate work at the University of Denver. She has spent 20 years in the field of Human Resources serving in a variety of leadership positions. She brings best practices from the transportation, financial services, and consulting industries. Laurie is passionate about cultivating a workplace where employees can do their best every day. An alumnus of the program, Justin has over 12 years of experience in the addiction treatment and recovery field. Utilizing his own personal recovery and his experience in both admissions and aftercare, Justin has helped individuals and families find the right resources to support their recovery journey. Justin has been a member of the Harmony team since August 2014. 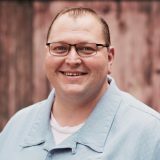 Currently working toward his CAC I and CAC II certification, he leads a team of 6 dedicated admissions staff and works collaboratively with Harmony staff, families and professional referrals in ushering clients into treatment at Harmony.